Want more Talking Dead? 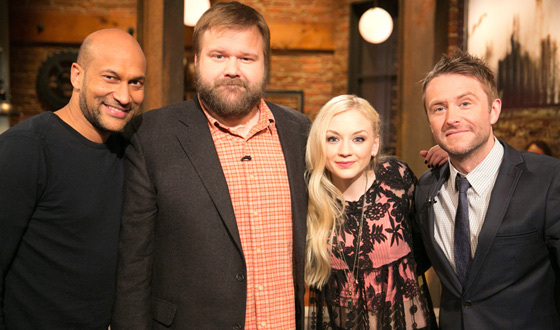 Watch these exclusive video highlights and a bonus scene featuring Chris Hardwick and his guests, Emily Kinney (Beth), Robert Kirkman and Keegan-Michael Key. Keegan-Michael Key chooses which character from the show he’d want on his team during the apocalypse; Emily Kinney talks about Beth and Daryl‘s friendship; while Robert Kirkman discusses Rick‘s shifted morality. Emily Kinney talks about her experiences playing Beth and what it was like shooting Episode 508. Click here to see photos from the Midseason Finale of Talking Dead.